Top Five Books, LLC, 9780978927028, 275pp. No one noticed anything suspicious about the death of a wounded soldier at the height of the Civil War--not, that is, until almost a hundred years later. In 1957, a young Washington, D.C. police sergeant, Ben Carey, heads up a team of officers in a dilapidated house three blocks from the Capitol. Though Carey's career is on the rise, his marriage is circling the drain, and as he spends more time at the office, he discovers there is something not quite right about this decaying old home. It harbors some dark secrets--connecting him to the long-dead soldier and others in ways he can't understand. With his personal life in shambles, and forces from within the house vying for his attention, Carey casts reason aside and begins an investigation to uncover the truth about what happened in this haunted place. As he peels back the layers of history, he finds courage and love, but also deception, greed, jealousy, and murder. 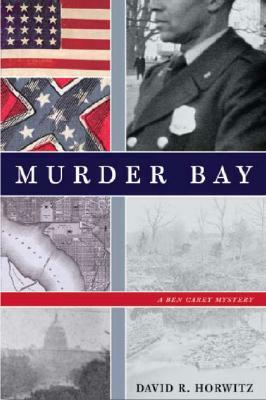 Twisting through time--between an America torn by Civil War and the prosperous 1950s--Murder Bay is a mystery that spans eras and the gulf dividing what can and cannot be explained.